Happy Monday! Renee here from Fantastic First Grade Froggies. I am actually in Chicago this week for the Extraordinary Educator's Conference. I can't wait to share all about it! If you are interested in our adventures, hop on over to my Facebook page, where I will post pics throughout the conference. Well, ready or not the new school year is coming. 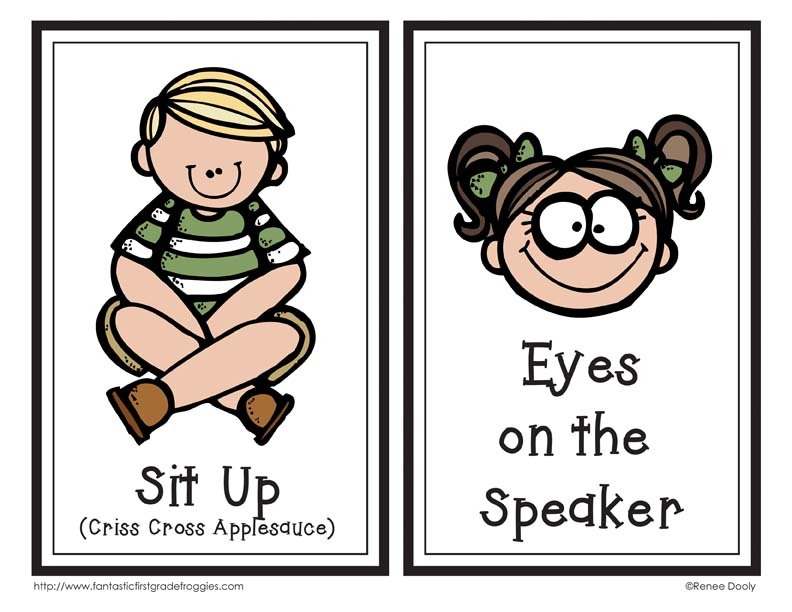 I wanted to talk a bit about setting up classroom routines and expectations. By starting the year off on the right foot and sticking with your plan, you will be able to manage your class a little better. 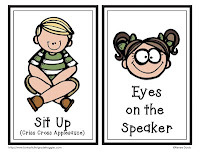 We spend a lot of time on the carpet in my class, so I start off on day 1 with modeling carpet expectations and active listening. For years I have had four rules/expectations for the carpet and used these signs. In the beginning, I read the cue cards and have kids model what it looks like. Next, I have kids read them and continue to model. After a while, all I have to do is show the cards and they know what the expectations are. Click the picture below to download the cue cards. I hope you enjoy them. Thanks for stopping by and make it a great Monday! Thank you so much for sharing these! 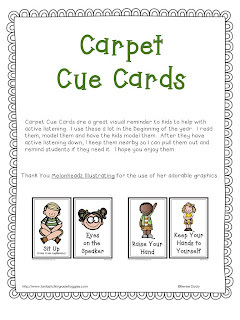 I will definitely be using them...some of my 3rd graders always have trouble keeping their hands to themselves on the carpet. Hoping the visual will help! 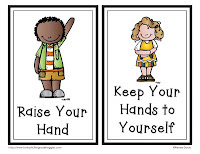 These are perfect visuals for the beginning of the year! Thanks for sharing!